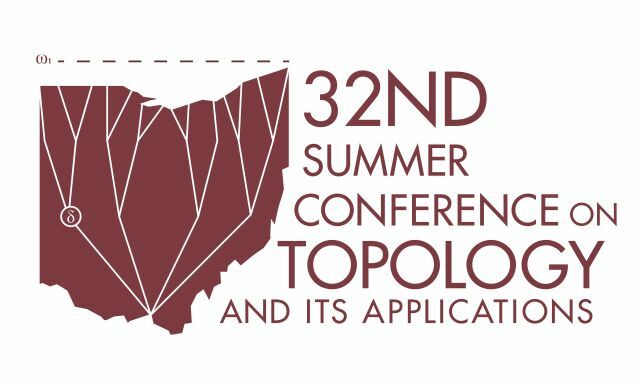 The University of Dayton Department of Mathematics hosted the 32nd Summer Conference on Topology and Its Applications June 27–30, 2017. The conference featured five sessions, each with a plenary speaker and two semi-plenary speakers. The conference also featured a presentation by Kathryn Mann of the University of California, Berkeley, the recipient of the 2016 Mary Ellen Rudin Young Researchers Award. The event received sponsorship from the National Science Foundation to provide financial assistance to students, early career mathematicians, and those without institutional support. This collection includes abstracts and presentation slides for the research presented at the conference. Selected papers will be published in Topology Proceedings, ISSN 0146-4124. Abstracts from conferences from 1995 to the present are available at the conference archive.